Since 1990 Phil Mitchell has been ruling Albert Square, which is based on Fassett Square in Dalston, with his big fists and bald red head. 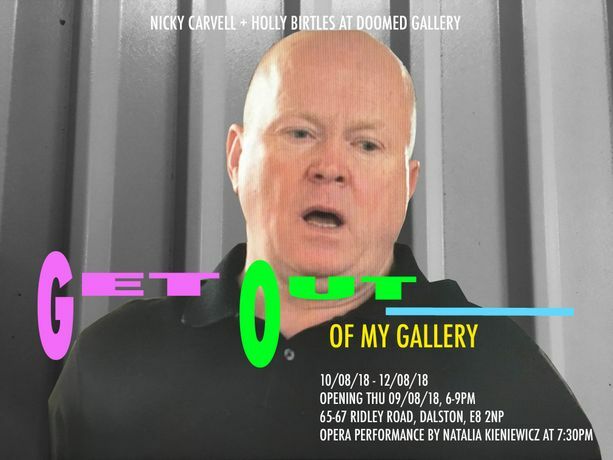 As one of the final shows at Doomed Gallery, Nicky Carvell and Holly Birtles will pay a twisted tribute to him also referencing the critical point at which Ken chucks everyone out of his gallery at the end of the night. Using photography, blow ups, cut outs and naff graphics, this show is an irreverent honouring of the ending of an East End era. Nicky’s dad looks a bit like him too.